You walk into a room. The foyer. High ceilings. Marble for miles. Buddhas. For some reason there’s a lot of Buddhas. Bathed in exquisite light. Buddhas in different poses along the long wide marbled corridor. Or maybe there’s signed movie posters covering the high walls. Signed baseball bats in collector plexiglas cases. Ty Cobb signed his baseball card and it’s on the wall. Babe Ruth signed a baseball in a case. Or maybe Wayne Gretzy’s signed jersey and Muhammad Ali’s gloves up there in the rafters. You turn your head and there’s a view. A view from a large picture window of the crashing waves on rocks below. Or the clear picture view of the canyon. Maybe the canyon is lit at night with a starscape of not-too-distant designer low-voltage home lighting emanating from the architectural marvels built into the carefully carved canyon walls each with a magazine spread looming out from that picture view. Or maybe the View is an infinity pool tabling the downtown skyscrapers that rise from that watery mirror steaming and ready for the pet owner to take a dip after a hard long day stacking cheddar. You are led to the far room where the beloved family pet lays in trouble. The family seeking your guidance putting their faith in you making the call. Does our beloved dog have more time? If so, doctor, how much time. Can we cure this? Will my cat ever be the same, doctor? Can you stop the pain. We don’t want the animal to suffer pain. You have become the guidance counselor. The family therapist. Sometimes you feel as if you are suicide prevention. You give the pep talk. The smooth over. Take the position that the beloved pet would want her owner to have a happy life. To live on and enjoy the memory. But you are asked to fix things. To give us more time, doctor. But you have been through this thousands of times. You have recognized the inevitability of demise. A demise all too quick with our domestic pets who we encourage a foothold or clawhold into our frail hearts. Yet you are trained to extend life and alleviate suffering. Pet lives are compressed. A day: a month. A month: a year. A year: five to ten years. So try you must and try you do. You have your way of extending life and with reasonable quality. You give options and preach realism. You give hope, investigate and provide answers to questions. You remain vigilant to the changes in all parties concerned. You remain at the ready. You also must absorb the anger and the sadness in the room. You observe portraits, photos and memorabilia. 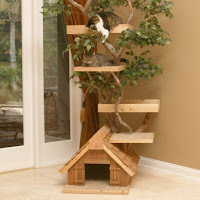 You see the bed where they lay, the carpet tree they climb, the feeding area and the bathroom. The feed closet, the cat room, the dog cage, the dog yard, the run, the nice conditions and the absurd. The inhumane yet the acceptable conditions. The rudimentary and the insanely extravagant accommodations. The pet lives better than you, my friend. And that’s the way it’s gonna be. Or maybe the pet has a ridiculous existence that you later anonymously report to animal control. You have seen a wide array of rooms. Some rooms with too many cats. Too many bathroom areas. Too few bathroom areas. Too much stuff. And stuff and stuff and stuff. Why do you have so much crap? Why are you keeping those 2000 VHS tapes of every movie since Casablanca? Do they still play? Do you even have a VCR? You have the 70 inch HD 1080p 3D super flatscreen over the fireplace. I’m sure you have every Netflix, VUDU, HULU, and all that stuff on demand. Yet you remain humbled. Humbled by the ability to enter these glorious rooms with nary a thought except for the well-being of that pet. The one you came to make things better for. The hero of the moment to those pet lovers you serve. And you know it by the look in their eye. And the look from the trusting eyes of the ailing beast.